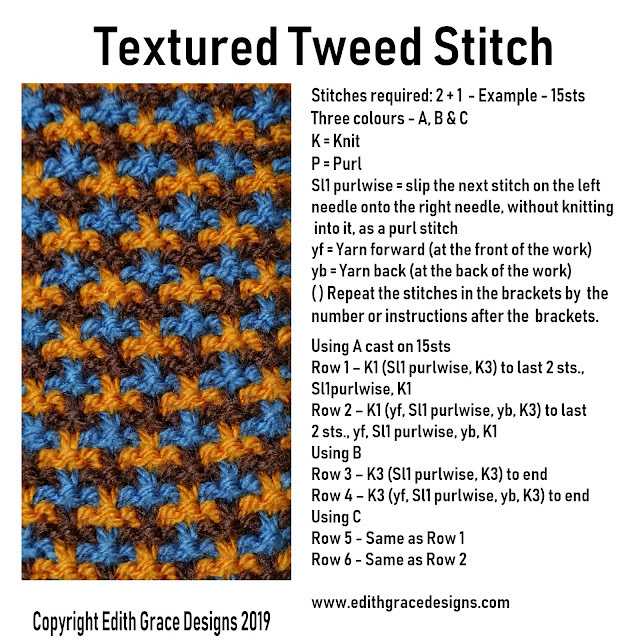 I have used the 'Textured Tweed Knit Stitch' for this pattern. 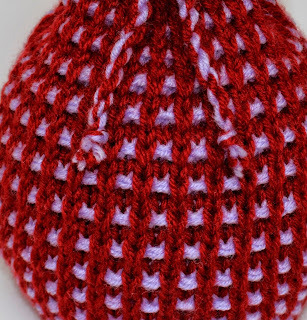 The pattern is worked in DK wool, using double thread throughout. 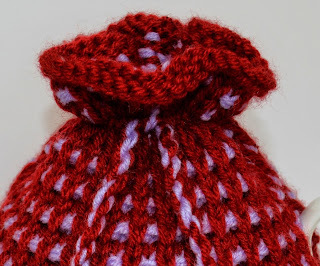 You can use chunky wool if desired. This is a really simple pattern to follow. 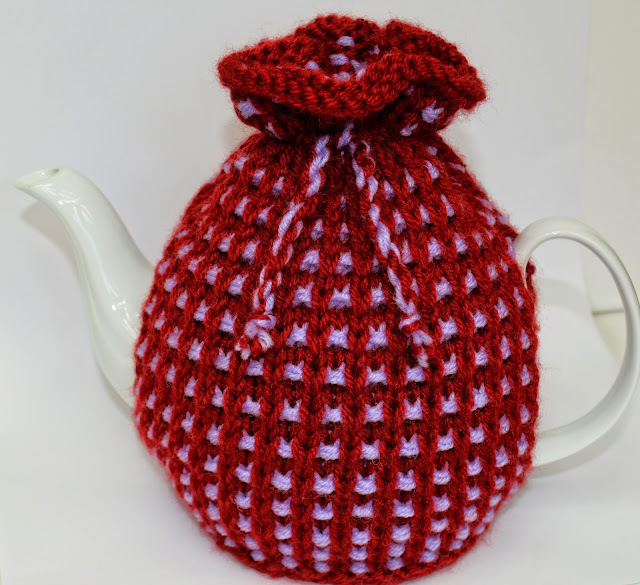 Using double thread, combined with the texture of the stitch, this makes the cosies thick & padded, which will keep the teapot warm. 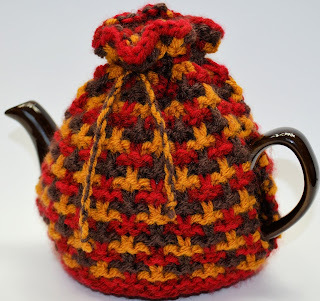 I have based this design on my January entry in my knitting journal. 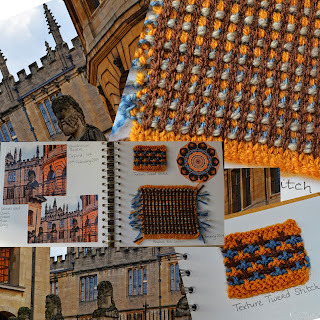 The colours are based on a photograph taken of the Sheldonian Theatre, Oxford UK. 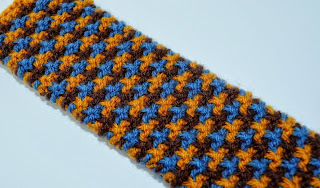 Knit, Purl, Slip 1 Stitch & Knit 2 together. 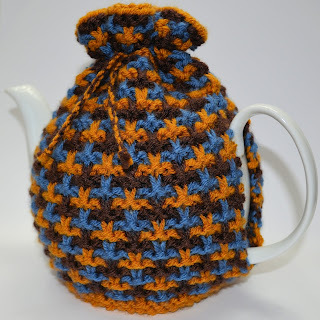 The colours used are: Camel, Brown & Blue. 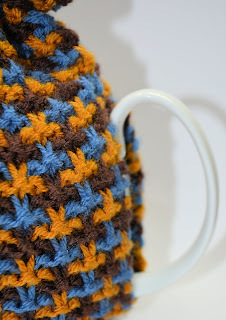 I love the colour combination, this is something I would never think to use and I am delighted with the finished result. 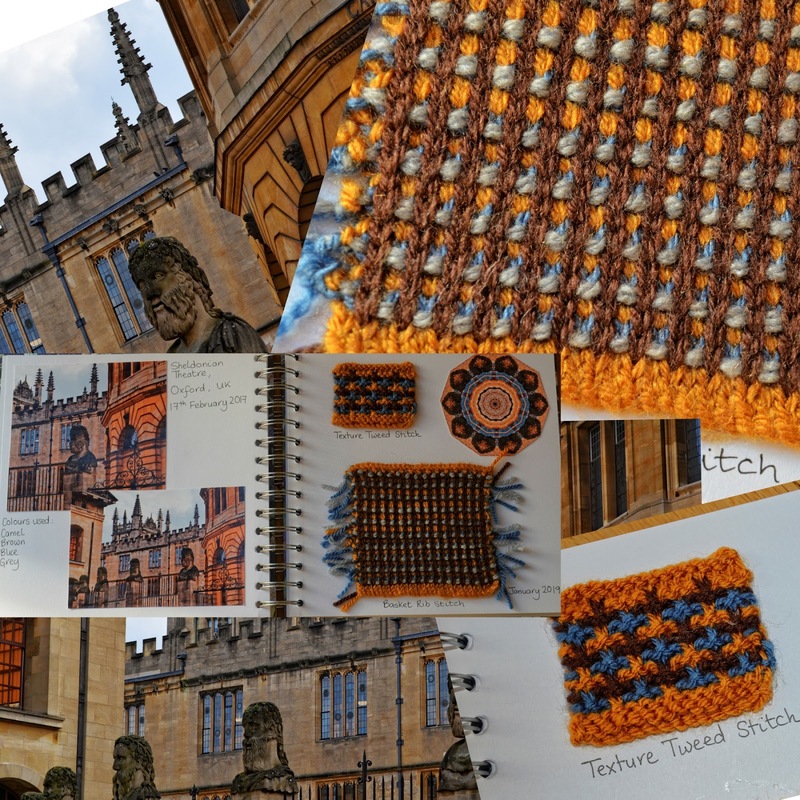 This year, 2019, I have decided to explore texture & colours in my knitting. I want to record this through a journal & be inspired by my home in the English countryside or places I have visited. 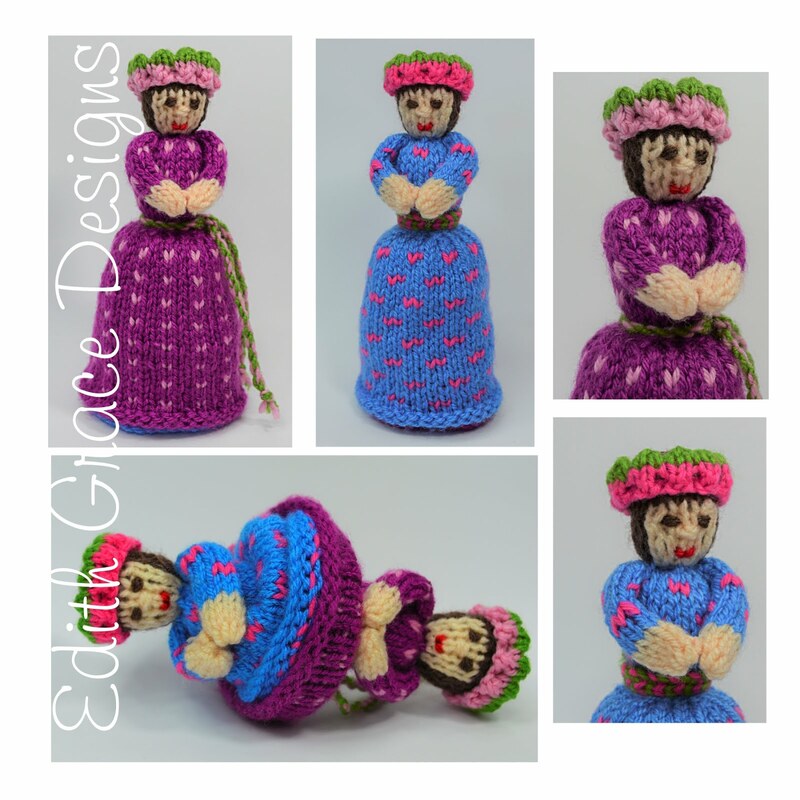 I currently design doll knitting patterns, but I know there is more to knitting than just 'stocking stitch' & trying to make the perfect looking doll, which doesn't look as if it is hand knitted. 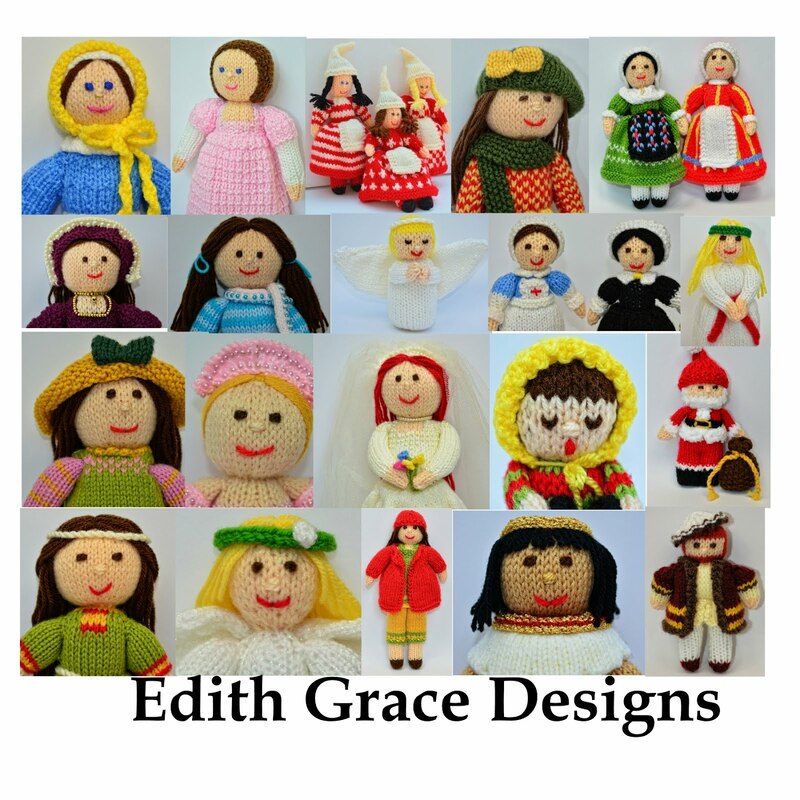 I have spent time designing dolls, weaving colours in & out of the work to make pretty patterns, when actually if I had looked at different textures through knitting, I could create something more pleasing. 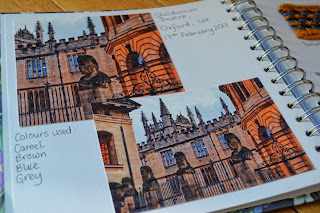 My January project is about Oxford. 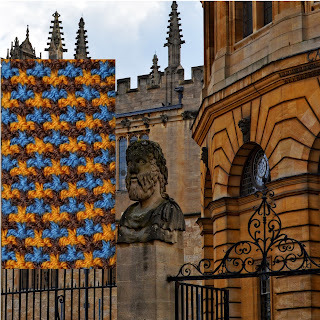 I was born in Oxford & although I live only 20 minutes away, have lived here all my life. I popped into the bookshop with my children one day & as I came out, I quickly took a photograph of the 'Sheldonian Theatre'. I made the photos into a kaleidoscope image, & decided to use the colours camel, brown, blue & grey. 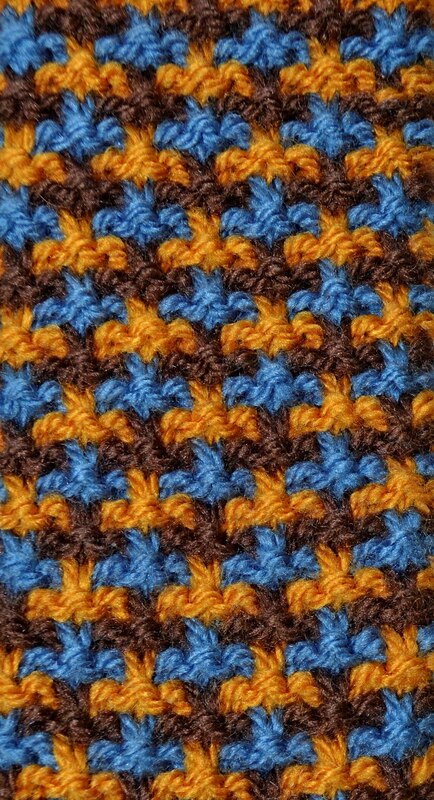 I used 'Basket Ribbed Stitch' to make the square. 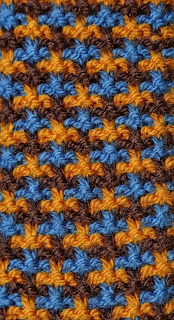 This stitch uses Knit, Purl & Slip Stitches. As I enjoyed the colours so much, I wanted to reduce the amount to design a tea cosy. 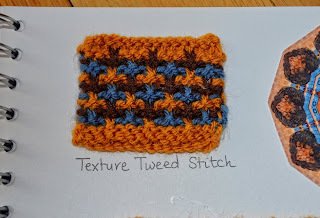 I chose camel, brown & blue, whilst knitting with the 'Texture Tweed Stitch'. I think this shows the colours individually, which is not a colour combination I would normally use. 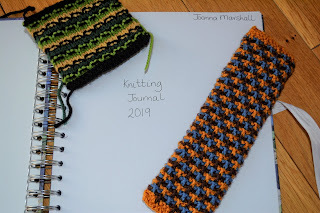 By starting my Knitting Journal, I do feel that I have been more creative with the use of colours & textures in my designs. I am currently working on my February entry! This is the original photograph & the 'Texture Tweed Stitch', which I have designed a free bookmark pattern & tea cosy pattern. 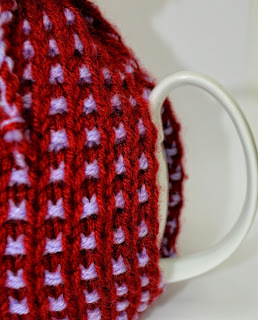 I have used the 'Basket Ribbed Knit Stitch' for this pattern. 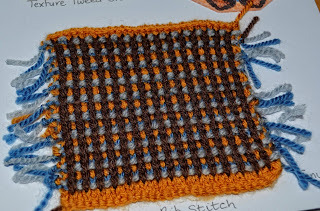 The pattern is worked in DK wool, using double thread throughout. 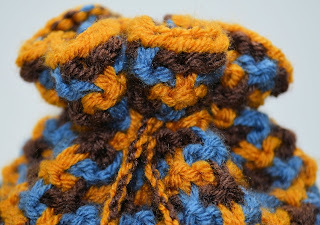 You can use chunky wool if desired. 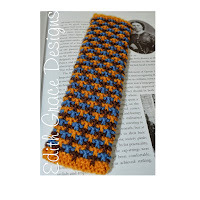 I wanted to keep the design very simple, but focus more on the texture & contrasting colours. 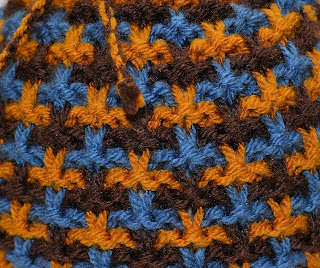 It was also an opportunity to learn a new stitch, which proves very versatile for this design. The bookmark is 19.5cms in length, knitted in Double Knitting Wool & Worked Flat. 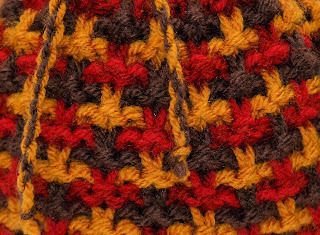 There are two pieces to knit in this pattern. 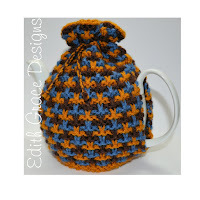 This pattern can be bought as a PDF Digital Download from - Etsy. 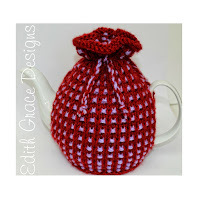 This is a free download from: Love Knitting, Makerist, & Ravelry. 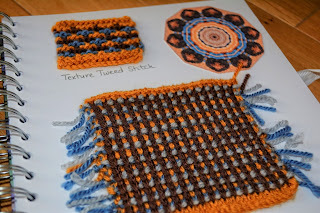 I am currently exploring texture & colours. 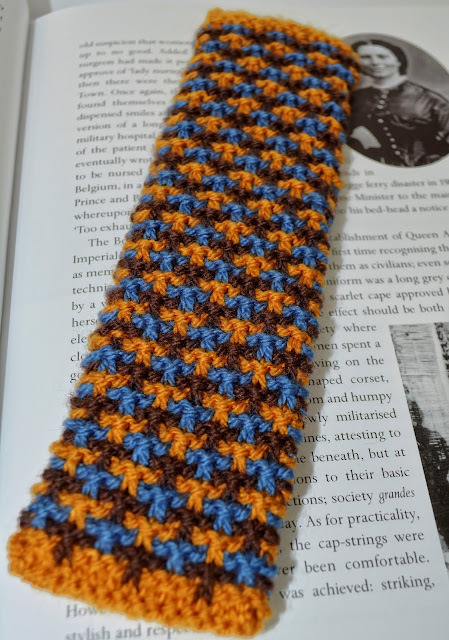 I started with a photograph of the Sheldonian Theatre, Oxford, UK & identified the main colours needed for this bookmark. I love the combination of these colours, something I would never of put together normally. I have used camel, brown & blue. 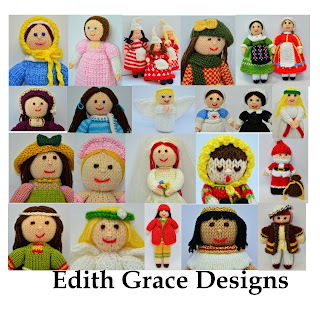 The stitches used are knit, purl & slip stitch. 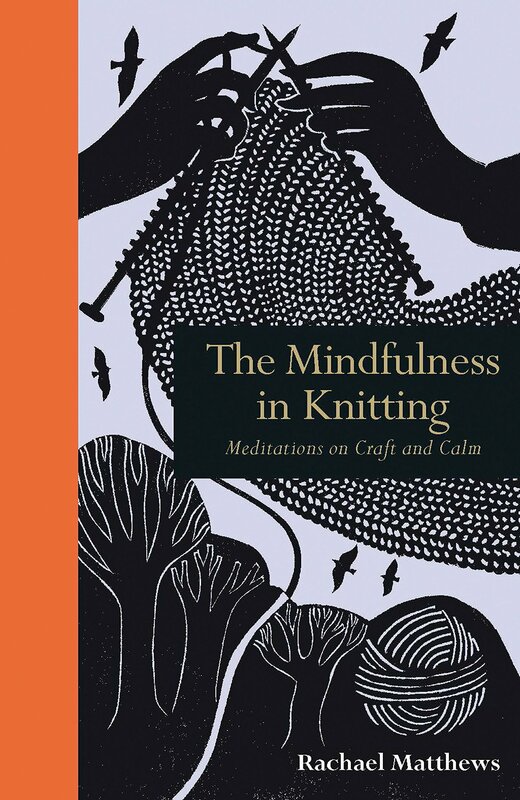 I have just finished reading a book: 'The Mindfulness of Knitting', by Rachael Matthews. I practised mindfulness when creating & knitting this piece. 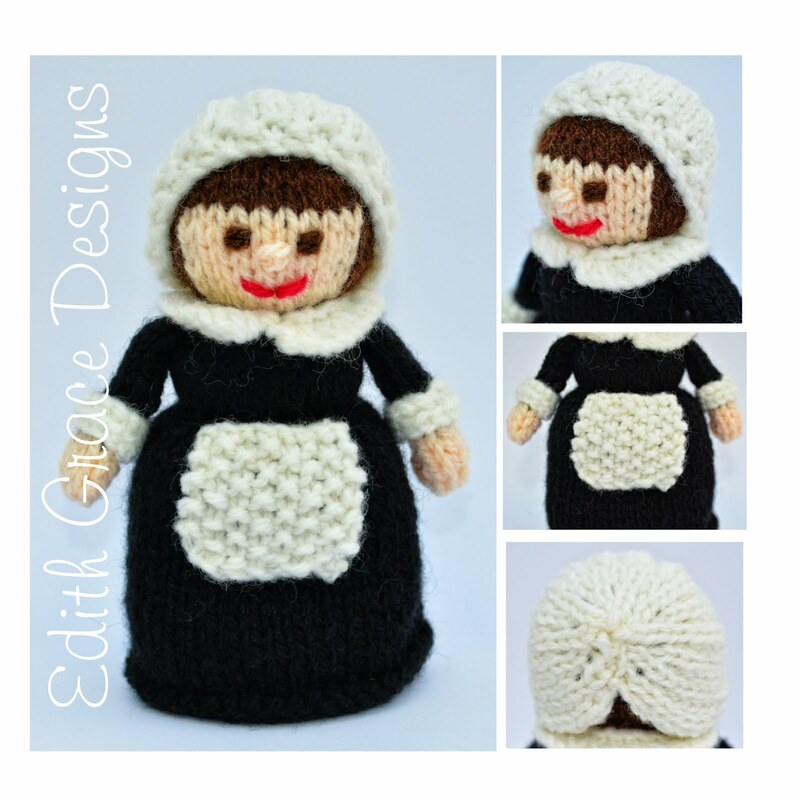 It helped me to unwind after a busy day & appreciate what I was creating. It is something I would thoroughly recommend to all who enjoy crafting.